Our lives are dominated by technology. We live with and through the achievements of technology. What is true of the rest of life is of course true of medicine. Many of us owe our existence and our continued vigour to some achievement of medical technology. And what is true in a major way of general medicine is to a significant degree true of psychiatry. Prozac has long since arrived, and in its wake an ever-growing armamentarium of new psychotropics; beyond that, neuroscience promises ever more technological advances for the field. However, the effect of technology on the field of psychiatry remains highly ambiguous. On the one hand there are the achievements, both in the science and practice of psychiatry; on the other hand technology's influence on the field threatens its identity as a humanistic practice. In this ambiguity psychiatry is not unique - major thinkers have for a long time been highly ambivalent and concerned about the technological order that now defines modern society. For the future, the danger is that the psychiatrically real becomes that which can be seen, the symptom, and especially that which can be measured. Disorders and treatments might become reduced to what can be defined by diagnostic criteria and what can be mapped out on a scale. This book exams how technology has come to influence and drive psychiatry forward, and considers at just what cost these developments have been made. 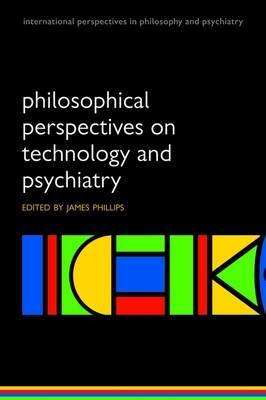 It includes a range of stimulating and thought-provoking chapters from a range of psychiatrists and philosophers.